The perfect combination of cookie and marshmallow, enrobed in a chocolate coating. I got the inspiration for these Pilgrim hats, after making green leprechaun hats for St. Patricks Day... And I just can't wait to make these again into top hats for New Years Eve! They are a really easy, no-bake treat that can be put together just in time for a Thanksgiving themed school party, Thanksgiving dinner, or gift giving! Melt chocolate chips according to package. Dip the tip of the lollipop stick into the melted chocolate and push it through the center of the cookie (microwave harder cookies for a few seconds to soften temporarily). Dip the bottom of the marshmallow into the chocolate and gently push it on to the stick so it is pressed against the cookie (make sure not to poke it all the way through). Dip entire hat into bowl of melted chocolate, covering it completely. Gently tap the stick on the side of the bowl to let any excess chocolate fall back into the bowl. Stick your pops in a Styrofoam block to dry, or you can also just lay them on wax paper if you don't mind the back side getting flattened. Place them in the refrigerator or freezer for a few minutes until set and chocolate has dried. Once the chococlate has dried, attach a piece of black licorice rope around the base of the marshmallow (where it meets the cookie), and attach a mini yellow M&M for the buckle. 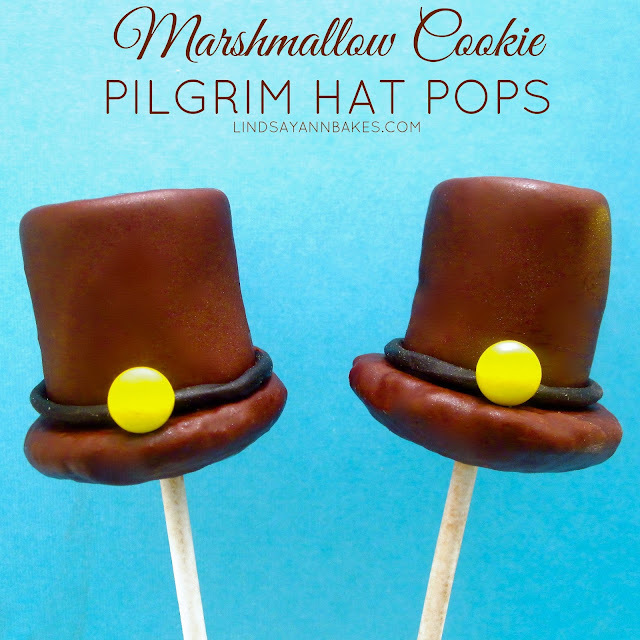 You can also make these without the stick for cute little Pilgrim hat marshmallow cookies! 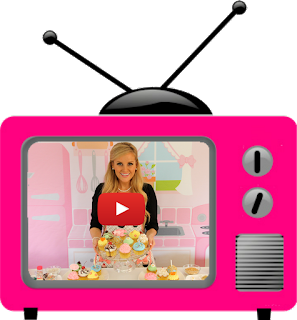 Be sure to check out our entire Thanksgiving roundup for more fun ideas and recipes!